It’s in the air – colder temperatures, the appearance of snowflakes, and a feeling that lets you know the holidays have arrived in Waterloo Region! From festivals (like the annual Christkindl Market) to festive events, there’s certainly something for everyone to enjoy this holiday season – especially when you’re seeing the holidays through the eyes of a child! 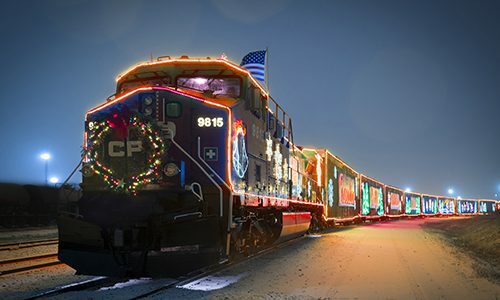 This year marks the 20th anniversary of the CP Holiday Train which makes its annual stop in Cambridge on Thursday, November 29th at 4 p.m.. 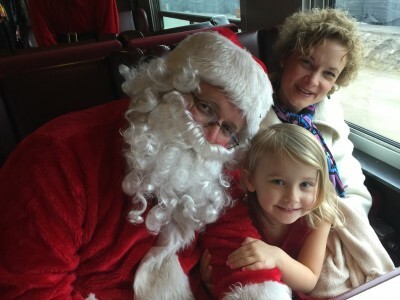 Kids will love the music, entertainment and decorated train cars that light up the night. This is a fundraiser for the Cambridge Self Help Food Bank, so get the kids to bring along non-perishable food items or a cash donation – it’s a great way for them to give back during this season of giving. Waterloo Central Railway is also ready for the season, with a number of holiday themed train rides. Choose from their Santa Trains, or their award-winning THE POLAR EXPRESS™ Train Rides – or do both! Make sure you book early, as these trains annually sell out. Who doesn’t love a parade? 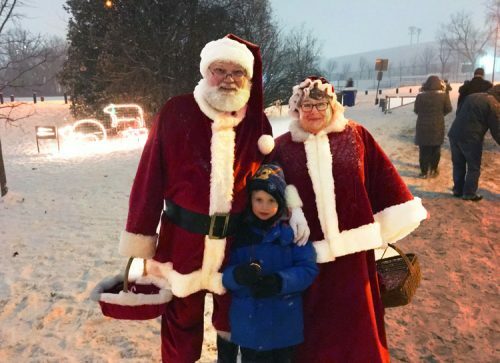 For many families, the annual Santa Claus Parades that happen throughout Waterloo Region have become a family tradition. 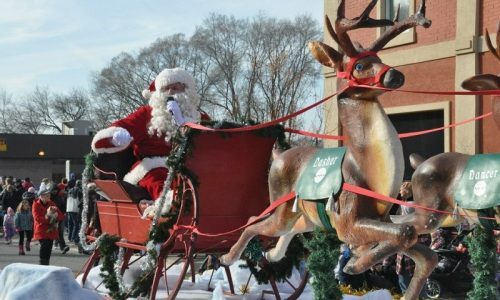 Click here for a list of when Santa will be coming to your town! Drayton Entertainment continues its holiday tradition of staging a Panto – an interactive show where kids can cheer the good guys, and boo the villains! This year families can enjoy the fun-filled adventure of Jack and the Beanstalk at the St. Jacobs Country Playhouse (get your tickets fast – these pantos are always a sellout!) 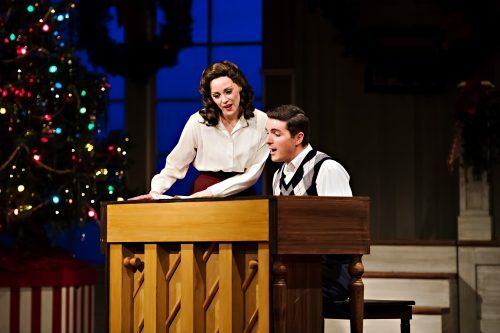 Families can also take in the timeless classic Holiday Inn (the production that made the song White Christmas famous). It’s sure to have everyone tapping their toes and singing along at the Hamilton Family Theatre in Cambridge! For tickets head to the Drayton Entertainment website. Centre In The Square also invites families to take in some special holiday shows. 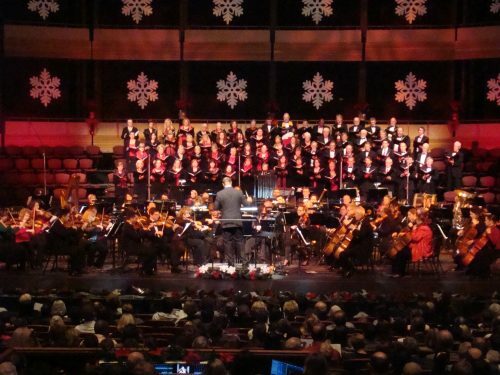 The Kitchener-Waterloo Symphony’s annual Yuletide Spectacular features highlights from the Dickens classic, A Christmas Carol, along with dancers, choirs, special guests, a sing-along and other holiday favourites. Ballet Jörgen also presents The Nutcracker – a holiday tradition that brings magic to the holidays. Check the website for performances and ticket information. Nothing makes a child’s eyes sparkle like taking in a holiday light display, and there are several to enjoy in Waterloo Region. Wonders of Winter is a festival of lights that happens in Waterloo Park. You can walk through the displays, or take in the lights while enjoying a horse drawn trolley ride. Kitchener’s Victoria Park is home to Christmas Fantasy – a spectacular display of festive lights that adorn Victoria Park’s buildings, trees and bridges. Central Park in Cambridge also features evening light displays as well as candy-themed decorations that families are free to wander through and enjoy. Over at Bingemans, families can drive through its Gift of Lights holiday display that includes over 30 static and animated light displays, as well as two drive through light tunnels. 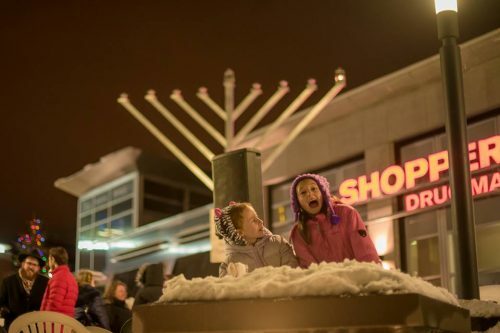 Chanukah in the Square will be celebrated with the lighting of a giant menorah at Waterloo Public Square. The lighting ceremony begins at 6 p.m. on the first night of Chanukah, which begins this year on December 2nd. 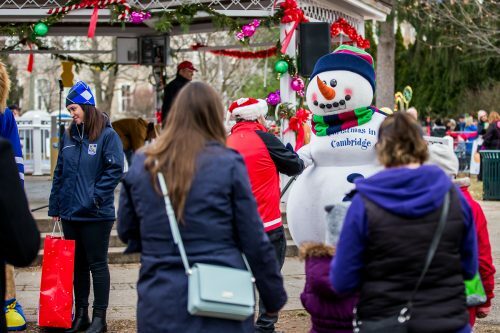 On Saturday, December 1st, Central Park in Cambridge transforms into a kids’ paradise known as Candyland – a place of candy and magic! Enjoy the fun, games and festivities all happening in Central Park – and bring along your skates to enjoy the Preston Towne Centre skating rink. 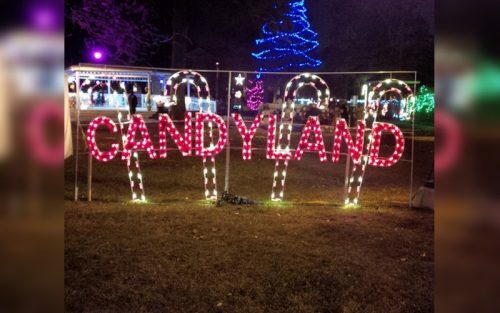 Candyland is part of the annual Christmas in Cambridge celebrations. Make sure you check out the special things happening throughout the day in the 100+ shops and businesses located throughout Preston Towne Centre. It’s a chance for kids to slow down, put the tech away, and enjoy an old-fashioned Christmas. 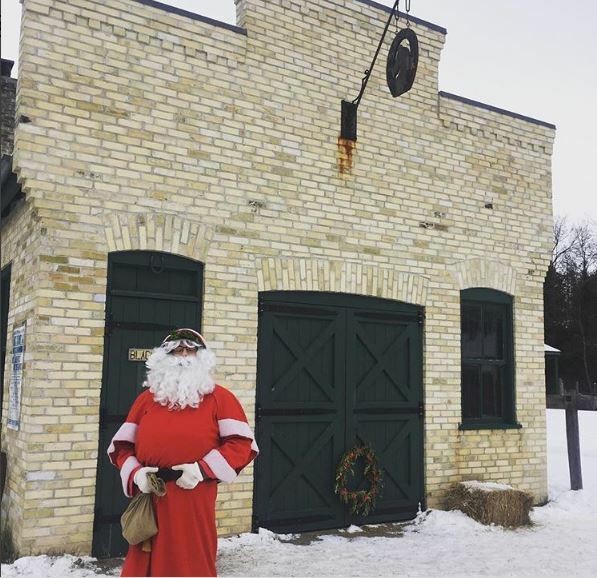 On Sundays in December, Doon Heritage Village invites families to experience a 1914 Country Christmas in the village. Take a horse-drawn wagon ride, sing along with Christmas carols and meet Father Christmas. There’s lots to learn as the kids take in the sights and sounds of Christmas past. Admission to Country Christmas includes entry to the Waterloo Region Museum, where you can take in its current exhibit galleries – it’s two great museums for the price of one! Horse-drawn wagon rides through Doon Heritage Village at @wregionmuseum Are always a highlight for our visitors. Players Indoor Golf & Sports Bar – More Than just Golf! Roseville Estate and Event Centre is a 19th century estate home situated on 56 beautifully manicured acres in North Dumfries Township – and a unique location for both corporate and private events. Spring means that it’s “Time-for-a-Beer-on-the-Patio-Season.” And surely, as the sun gets warmer over the next several weeks, it’s getting to be a very good time to think about finding cold beer in Waterloo Region.